3:45:05: I had an assignment in Seymour today. Parked outside the building sat the "Weenie Wagon." 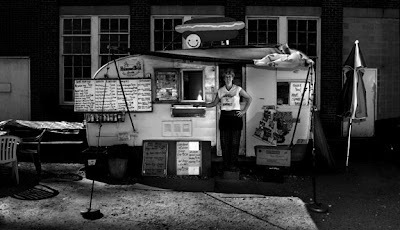 I couldn't resist and asked owner Carolyn Schumacher to stand for a portrait. She is nicest lady ever.